Hi there, it's Anja again, hope you all had a nice weekend. So here we are again for another week of inspiration. Today I have three cards for you showing different ways of coloring and the spot light technique I have seen over at Kristina Werner. I wanted to create a card with coloring and show you different ways to color and also incorporate a technique. 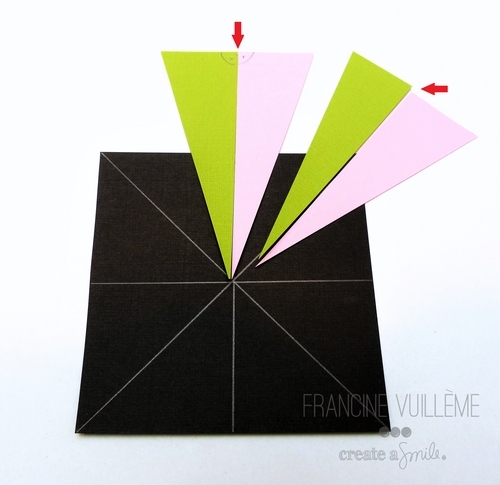 When I came across Kristina's blog several days ago I found out about the spot light technique and knew I would like to use it on my cards. Ofcourse the cute monsters from big time where perfect for this technique. I was also inspired by my teamie Yoonsun as you can see here. First you start with a shape on your card to stamp the image in. In my case I choosed a circle but you can also use a square, rectangle or any other shape. Slightly trace your shape with a pencil on your card. Now stamp your image at random over the whole card and make sure that you stamp some images overlapping the shape. 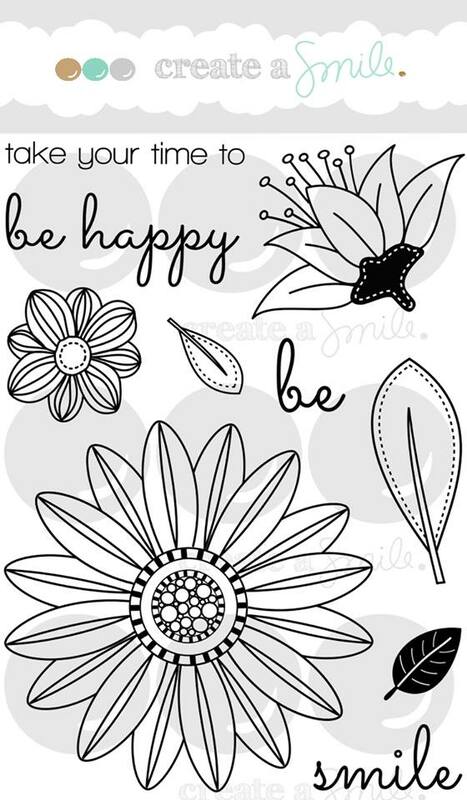 Now for the fun part; color your images in the centre of the shape in color and make sure you follow the pencil line. Everything that's stamped outside the shape so at the other side of the penicl line will be colored in soft grey colors. Finish the card with a sentiment white embossed on black paper and place this on some vellum for more interest. Put some embroidery yarn loosely behind the sentiment and place some enamel dots. I mentioned before that I would like to show you different ways of coloring. Well in the card above I used distress ink and watercoloring. I think I like this technique the most for the spot lighting. I think the effect is not as clear as with the water coloring. And the third method was using polychromos but I have to admit I just recently bought them and I have to practice a lot and I mean a lot. If it will ever be possible to come near the coloring skills from Anni and/or Christine. Coloring; distress ink, copics and polychromos. Other; white embroidery yarn, enamel dots, white embossing powder. Before you do the background coloring make sure you erase the pencil line after coloring it's hard to erase. Ask me how I know!!!!!! If you like me I always struggle with the thread as an embellishment. You can wind it several time around three fingers and you have a nice circle to work with. After taping it down you can pull it in the desired form. 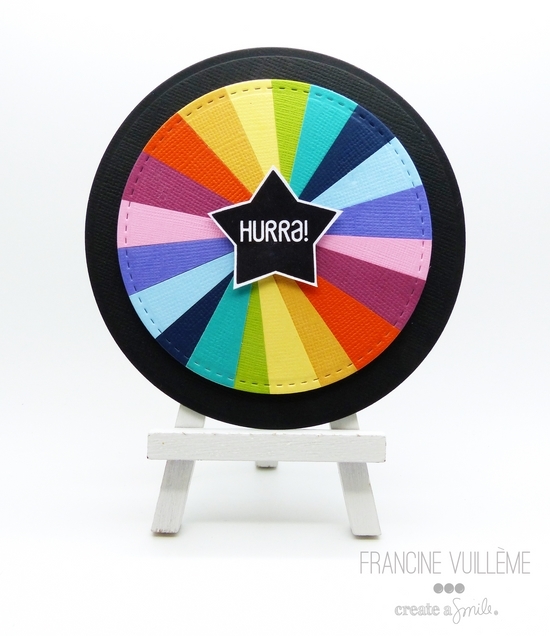 We can't tell you enough how great it is to see all your work with our lovely supplies so please make sure you link up either at the monthly linkup at the sidebar or join in the fun over at our challenge. You have until april 6th 11.55pm CET. Hi everyone! If you've been following my projects, you know how much I love making custom patterned papers with my stamps. I do this with images and even sentiments. 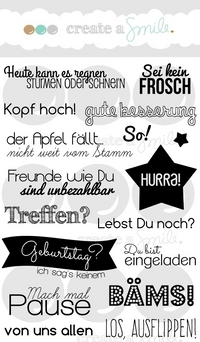 Today, I'd like to show you a way you can do it with sentiments. Making custom papers with stamps you have is so fun because if you're like me and not very good at matching the elements on your card, using this technique can help to pull everything together perfectly. I started by stamping sentiment on my cardbase. I wanted it to look tone and tone, so I chose the brown ink to stamp on my kraft cardstock. I only intend to show the patterned on my side so I'm not taking my time to stamp the entire background. I wanted to have a small strip of brown paper and to match the ink, I just coloured my scrap paper with the same ink I used for my sentiment. All it's left is to cut my monster and put the pieces together. I went a little enamel-dots crazy there! hehe. First of all - I have to say a HUGE sorry! I've been missing post and messing up a little. After that project was finished I got sick. Dam-dam..... Life happens. So please welcome her with an enormous applause - she deserves it! Hello, Sarah here from Funky Fossil Designs. 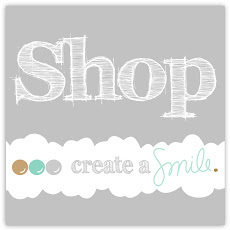 I am so excited to be a Guest Designer over at Create A Smile. I have been a huge fan of Christine's fun designs since the beginning and I have built up quite a collection! 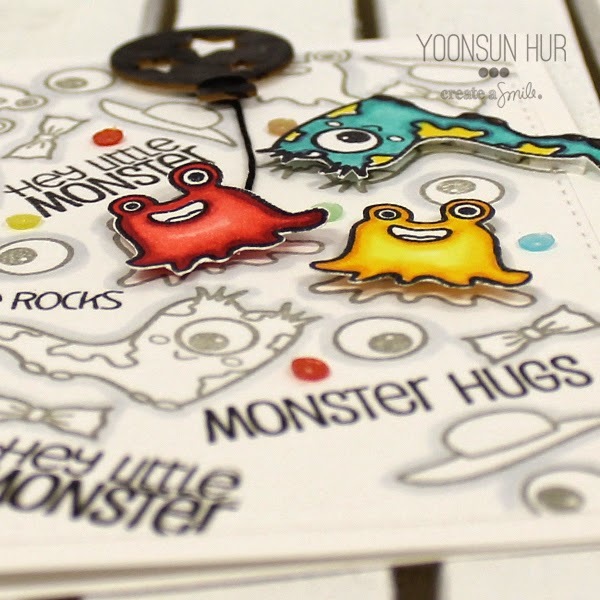 I am looking forward to the arrival of my March release stamps and in the meantime I have made a few cards featuring a little cutie from the Monster Party set. I just love this sweet furball and decided to stamp and mask him lots of times to create a pyramid in a cheerleader style! I coloured the little monsters in with my Chameleon Pens. I stamped the flag that comes with the set at the top and cut out the pennant part for a bit of extra dimension. The central panel is popped up and there are two strips of washi tape at each side. Now, are you ready for the after card? As I was stamping up my cheerleader formation I started thinking about the little furballs collapsing in to a heap and made a second version where they are all topsy turvey. The same technique applied – cutting out lots of furballs with sticky notes (several at a time) and masking them to build up the picture. This time I twisted them around so they were at all sorts of angles depending on how they have fallen. I finished this simple card with a lovely sentiment from the Botanical Love set. Have you seen the beautiful flowers on that set? Another of my favourites. 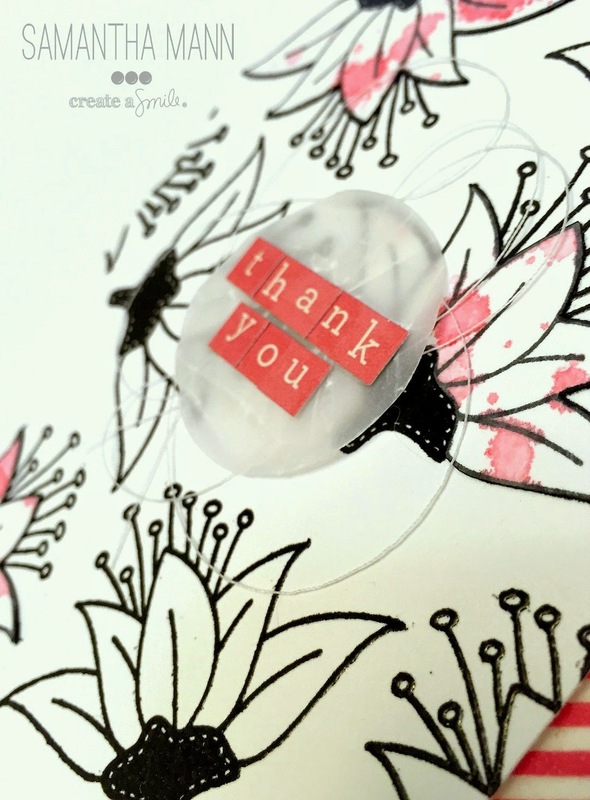 My tip would be not to forget the little guys – just one small stamp from a set can become the focal point of your card through repeat stamping and masking. 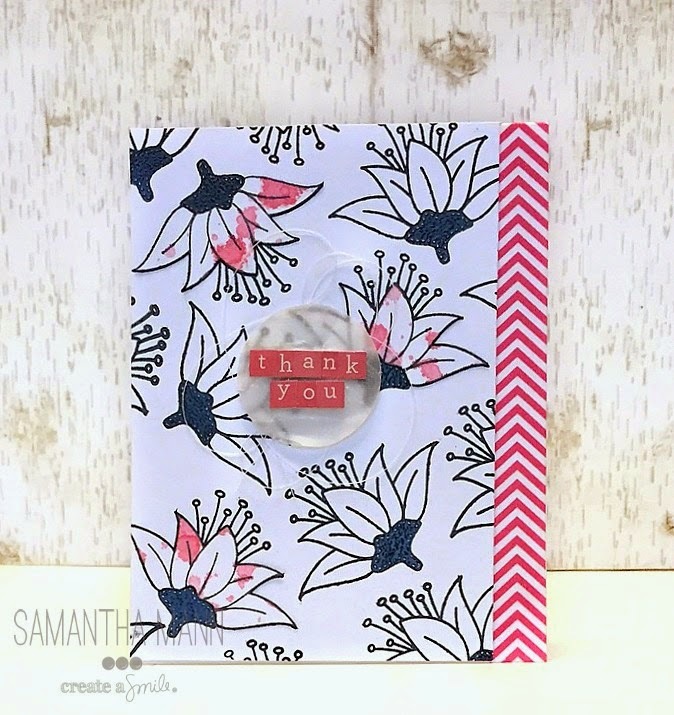 Samantha here, and today I have a thank you card to share using the incredibly beautiful (and popular!) Botanical Love stamp set! To be completely honest...I tried to channel my inner Yoonsun for this card! I sat at my desk and thought, what would Yoonsun create? And though I know her card would be INCREDIBLE, i still feel her presence in this card! ha! This was SO fun, and pretty easy to create! Just a few simple steps! - splatter on your color and let dry! Botanical Love is the star of this card! I really LOVE how the color pops against that bold black! 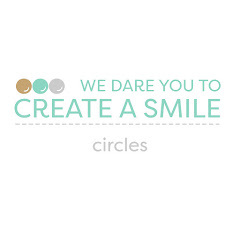 Create a Smile is also on Pinterest! We LOVE seeing what everyone makes with our stamps! There is TONS of inspiration, all in one place!! Hello crafty friends, Yoonsun here! I am back with March released Big Time Stamp Set. I wanted to make my own mono tone background with those small sized monsters, accessories, and of course the big eyeball! Mono tone background: Stamp randomly monsters, accessories, big eyeball on the white cardstock using grey pigment ink and colour around edge of them with Copic marker C3. Stamp sentiments between images using black pigment ink and heat emboss them in clear. 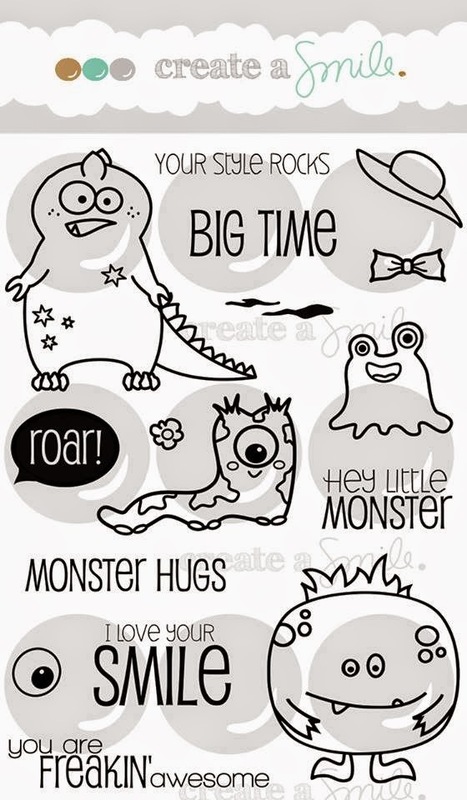 Stamp several monsters with black pigment ink, colour with Copic markers and fussy cut them. Position coloured images on the stamped background and affix them using dimensional foam tape. 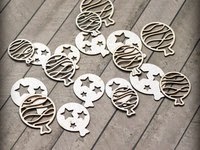 Embellish with Patterned Balloons chipboard -painted black- and 4mm colourful sequins. In this video, I’m going to show you how to make a sunburst (or starburst) background with cardstock. You can fix the triangles randomly, as I did. This gives more movement. Marc Release Countdown #1 - GIVEAWAY TIME! Flowers Make the Best Background, right?